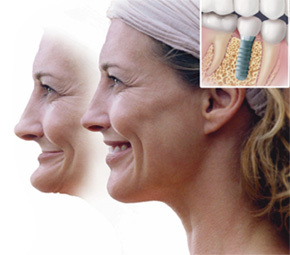 Having a mouth with missing teeth, severe decay, crowded teeth or other issues can diminish your self- esteem, all of which are issues that typically can be addressed by dental implants. Dental implants are permanently attached by inserting posts into the jaw bone and placing an artificial tooth onto the post. The average cost for each implant is between $1250 to $1800. Talk to us about options offered for financing. We will be able to provide you with a few sources for outside dental financing and may offer in-house financing. We will contact the names of potential lenders that will finance your implants and ask for the terms and conditions of the loans offered. Loans for dental work can vary in interest rate and length of loan, both of which can drastically alter the monthly payment. Historically dental implants were not covered under a dental plan but now that they are the standard of care, they generally are. You might also check with your medical insurance provider if you need the implants due to a medical condition. Dental care is generally not covered under a healthcare plan, but if the tooth loss is a result of a medical condition, coverage may be allowed to restore your teeth. We can advise you if that is the case. We can visit Citicard.com or carecredit.com to see if the financing programs fit your needs. You may want to look at one or more credit cards as a third or supplemental option for financing. Ask to review the options and determine which one is best suited for your situation. Look at the interest rates, years of repaying and monthly payment. Apply with the company you feel will work best for you realizing the benefits you will have for years to come. If we can be of assistance, please call us for your complimentary consultation. It should go with saying, that each patient presents a unique set of circumstances which may alter these parameters. 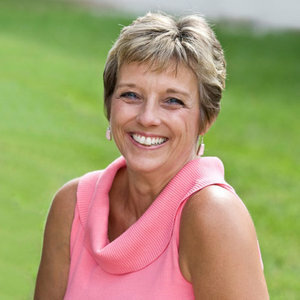 The added advantage of a multi-specialty practice is our in-house periodontal services. So if you have an issue that exceeds the ability or training of our hygienists, you can still be examined and treated in our office. If we can be of service please contact us for a complementary consult with one our team. Dr. Scheinfeld is an Emory University trained prosthodontist treating 4 generations of patients from Vinings, Marietta, East Cobb, Smyrna, Roswell, Alpharetta, Johns Creek, Dunwoody, Sandy Springs, Norcross, Buckhead and Midtown. The practice’s associates, Drs. Orland and Scheinfeld provide in-house endodontic and implant procedures. Mom, children with damaged, discolored or missing teeth sometimes have problems with self-esteem that can be improved through aesthetic dentistry. For mildly or moderately decayed front and back teeth, dentists now are able to place tooth-colored (composite) dental fillings. These materials have been dramatically improved and eventually, dentists no longer will need to place silver fillings. These tooth-colored fillings are bonded to the tooth surface and they are not only beautiful but strong as well. For severely decayed front and back teeth, silver-colored dental crowns no longer are the norm. Dentists now have tooth-colored plastic and porcelain materials that can be used to cover the entire surface of the tooth to restore both function and aesthetics. Some of these crowns have metal linings but still have tooth-colored facings that allow for beautiful aesthetic restorations. With E4D crowns, the metal linings can be completely eliminated. Many children benefit dramatically from aesthetic dental care on their primary teeth. Be sure to consult with your dentist if you have questions about whether aesthetic dentistry is right for your child. In our Chamblee and Sandy Springs office we can be of service by giving us contact for a complimentary consultation. If you’re taking medications for certain health conditions, it may not have crossed your mind that they can also impact your oral health. After all, medications are supposed to bring equilibrium back to your system, not stir things up, right? Truth is, a variety of prescribed medications can affect your teeth.